So what are Mrs May's EU partners saying? 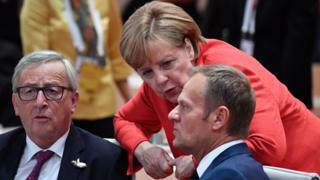 European Council President Donald Tusk is proposing a one-year flexible extension ("flextension"). It would have a break clause, allowing the UK to exit earlier, if the UK Parliament finally ratifies the withdrawal agreement. The House of Commons has already rejected the agreement three times. The EU27 insists that the withdrawal deal cannot be renegotiated, but the accompanying political declaration - spelling out ambitions for future ties - can be revised. That declaration is not legally binding. In her Brexit "red lines" Mrs May insisted the UK would pull out of the EU customs union and single market. The opposition Labour Party - now in Brexit talks with Mrs May - is worried that any deal to have a softer Brexit, closer to the EU position, could still be scrapped by a future Conservative leader. So why might the EU27 opt for "flextension"? Any new EU decision to delay has to be unanimous; one country's veto could trigger no-deal Brexit. The French government sees Theresa May's proposal, for the UK to exit on 30 June, as a political manoeuvre to appease MPs at Westminster. The EU27 have previously rejected a 30 June deadline. One of his MPs, Bruno Bonnell, told the BBC that "we've been giving some delays so far, with no result". With all the turmoil at Westminster, he said, "we have to accept that no deal might be the option". A source close to President Macron also called Mr Tusk's one-year proposal "a clumsy trial balloon". France insists that Mrs May must present a "credible plan" for Brexit. Image caption President Macron objects to Theresa May's Brexit "red lines"
What are the risks of a long delay for the EU27? Taoiseach (prime minister) Leo Varadkar favours a longer extension. He has warned that a no-deal Brexit would have dire consequences, almost certainly forcing the return of a hard border with Northern Ireland. On this week's summit, he said a country "wouldn't be forgiven" if it vetoed a postponement of Brexit, as that veto would cause hardship to Ireland and other EU countries. But he is against "rolling extensions" like Mrs May's new deadline, "because that just adds to the uncertainty". 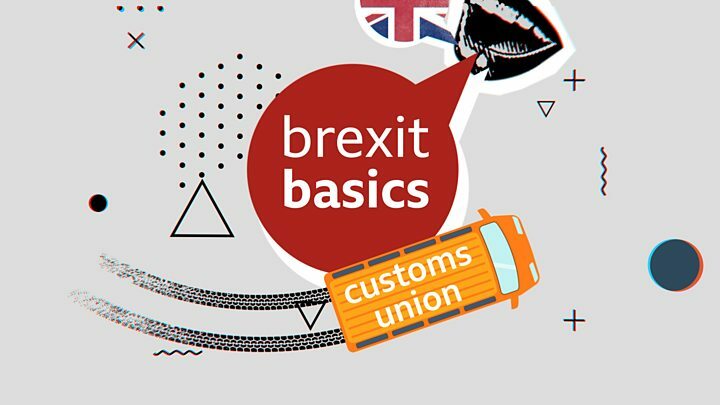 What could no deal mean for the Irish border? The backstop in the withdrawal agreement is Dublin's guarantee that the Northern Ireland border will remain open, free of physical infrastructure. Chancellor Angela Merkel says Germany will do all it can to prevent a no-deal scenario. "Where there's a will there's a way. We still hope for an orderly Brexit," she said in Ireland last week. Norbert Röttgen, head of the German parliament's foreign affairs committee, backed Mr Tusk's one-year delay. And Merkel ally Elmar Brok, a veteran of EU politics, said "we now want as long a delay as possible, ideally unlimited". Dutch Prime Minister Mark Rutte says UK politicians need to "make clear how they would want to use an extension". He has demanded "clarity" on that from Theresa May. Austrian Chancellor Sebastian Kurz says the EU has set "very clear deadlines and there is no reason to further extend those deadlines". "Unless the facts in Britain change. But we have not yet reached this point," he added. Polish Prime Minister Mateusz Morawiecki favours a long delay. "Six, or nine, or twelve months, these options are acceptable to us," he said.